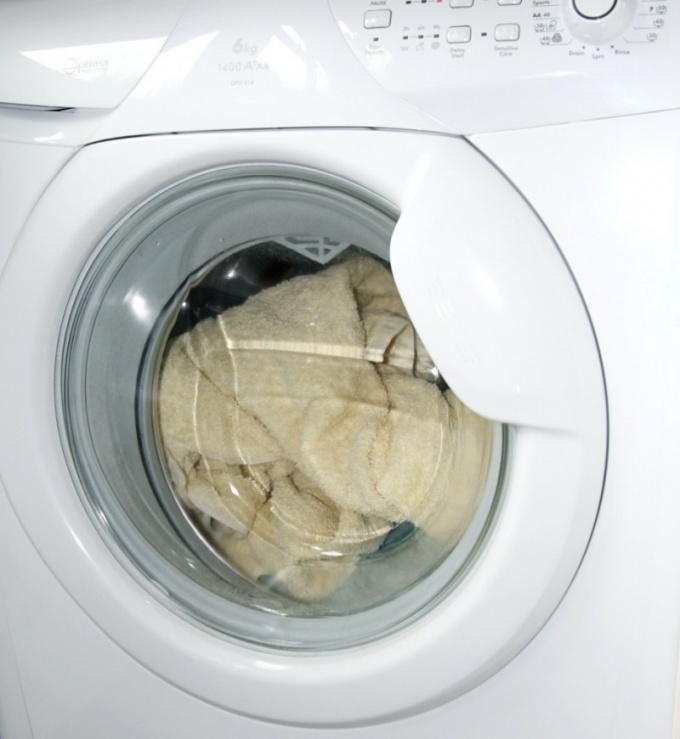 Washing machine usually turns off itself after execution of the washing programme. But there are unforeseen situations, when, for example, in the electronic control of the machine fails, the result of which becomes jammed door, the inability to get linen and other problems. There are various ways out of the current situation. If there was a sudden power outage, and a washing machine are stopped, don't worry. As a rule, the program resumes after the supply of electricity automatically. If you fear the drops of voltage or too high voltage, machine off from the mains, and after the establishment of the normal power supply on again. In that case, if your washing machine is "hung" and shows no signs of life, despite the fact that electricity seems to be all right, pay attention to the machines display, if any. If it shows any strange characters or figures for you, this is most likely an error code. Look in the instruction manual, which means the given code. Perhaps the voltage is not stable, or the Laundry in the drum is unevenly loaded. To turn the washing machineon, press and hold for a few seconds the start button. Once you turn off the car and cancel the selected program, then turn it on again and select a new one. If you urgently need to get the clothes, select the programme "Spin" and the option "No spin". Machine in a minute drained of water and its hatch will open. Linen in this case will be wet. If you want it to be dry, select "Extraction" and then select the number of revolutions. In a situation when the above-described methods do not work, use the emergency drain via a tube located at the bottom of the machine. Usually it is covered with a small square or rectangular door. Find it and open, not forgetting to frame a basin for water. If the machine is not responding, unplug it from the mains for 10-15 minutes. After this time turn it on again. If it again hangs on the same program, repeat the above procedure or contact the service center, as a possible serious failure.